OTTAWA, (CelebrityAccess MediaWire) – Ottawa Folk Festival organizers have signed a deal with Canadian telecom company Telus that will see the company become a presenting sponsor. 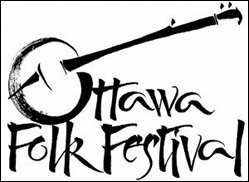 Telus joins the ranks of Ottawa Folk Fest's other sponsors, which include two major sponsors, 14 official sponsors and suppliers, five hotel partners, an environmental partner, and six government funders. "TELUS is thrilled to be contributing to such an important community event, the iconic Ottawa Folk Festival," said TELUS vice-president Michael Sangster. "We are looking forward to supporting the most successful Folk Festival to date and can’t wait to help create an unforgettable experience for festival goers and music lovers alike."